Long before picking up a camera to photograph the natural world, I wandered the outdoors in awe. As a child, I explored the hardwood forests and beaches near my childhood home in upstate New York, observing and investigating this beautiful and wondrous mystery before me. Summer day's spent under the canopy of the forest or combing the beaches and bay's on Long Island's east end instilled in me a great appreciation for nature, it's textures, patterns and complexities. Shortly after graduating from college, that same wanderlust for the natural world beckoned me to the American West. The West's vastness, towering mountains, deep canyons, open spaces, independence and culture tugged at my heartstrings and allowed me to express my creativity and passion for natural places. Photography is a tool for me to communicate not only the obvious beauty in nature, but also the overlooked, underappreciated and unseen. I'm an observer of light on the landscape. I use light, color, and texture to convey the beauty found in all natural places. My artistic goal is not to capture the icon's of the American West, but instead to present to my audience the more subtle and complex beauty found in and around our natural wonders. 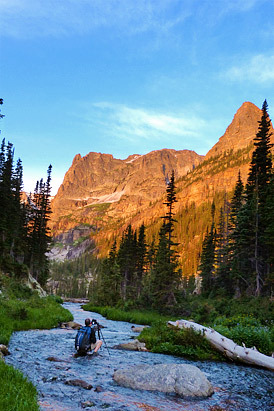 Tom is an award winning landscape photographer based in Erie, Colorado. His work has been published in magazines and books as well as displayed in numerous galleries. Tom's images have appeared in Vouge, Trains Magazine, Railnews, CTC Board, Motorbook Press and Voyageur Press, Far Country Press, Country Magazine along with others. Tom was born and raised in Yorktown Heights, New York, 35 miles north of New York City. 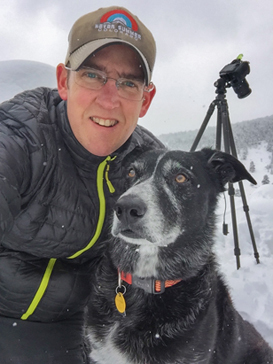 After graduating from Mount Saint Mary's University in 1996, he left the east coast and headed out on a cross country journey seeking solitude and the ability to explore and photograph the American West's. It was during this cross country adventure that Tom first visited Colorado and fell in love with it's mountains and landscapes. Tom settled in Boulder, Colorado due to it's proximity to Rocky Mountain National Park and close access to open space and public lands. Tom has since moved a few miles east of Boulder, and now resides in the town of Erie. While Tom photographs all over Colorado and the American West, Tom's photography primarily focuses on Rocky Mountain National Park and the many Open Space properties found in and around Boulder, Colorado. Tom primarily used 4x5 inch large format camera's and 6x17cm panoramic camera to photograph the landscape. In recent years, Tom has migrated most of his work to high quality digital camera systems that provide similar quality and added flexibility. Currently Tom uses a pair of Nikon D810 bodies along with a handful of Nikkor lenses when in the field.